The disc version of the racer-favorite Cosmic Carbon features 45mm deep, 25mm wide rims and weighs only 1770g. It’s the perfect balance of light weight, stiffness and aerodynamics, and is built on the same qualities that made our Cosmic Pro Carbon successful. 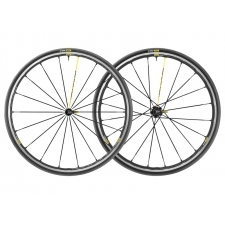 The carbon/alloy hybrid rims provide the best of both materials: carbon for its stiffness, lightweight and ability to be aerodynamically shaped; and alloy for its simplicity and durability. But we did more than just add disc brake compatibility. 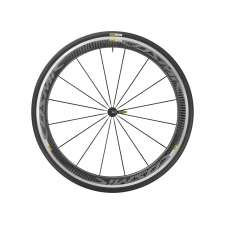 The rim shape is specifically designed for disc brakes, eliminating the brake track to optimize carbon’s characteristics. It’s laced with 24 aerodynamic spokes front and rear on the fast-engagement Instant Drive 360 hub system. These hubs accommodate all the available axle dimensions on the market. The front comes ready for 12mm thru-axle, but can be converted to regular quick release or 15mm thru-axle with optional adapters. The rear comes in 12x142 and is also convertible to quick release. 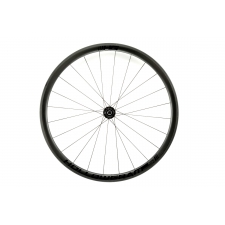 The freewheel compatible with Shimano or SRAM cassettes, and can be converted to Campagnolo or SRAM XD cassettes. Disc compatibility is 6-Bolt or Center Lock. The system includes a 25mm Yksion Pro Griplink tire up front, optimized for cornering grip, and a Yksion Pro Powerlink rear tire for efficiency and acceleration. Both have specific tread patterns to optimize performance in all conditions. 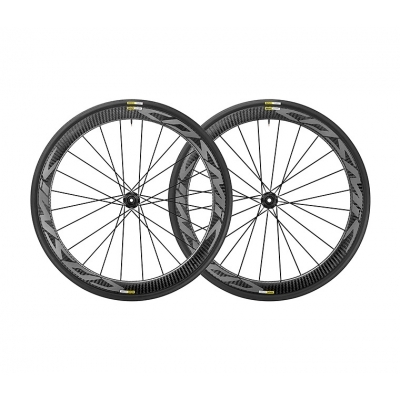 Buy your Mavic Cosmic Pro Carbon Disc Wheelset (Pair), 2018 from Revel Outdoors.